This 24 years old dynamo started dancing when she was almost 3 years old and hasn’t stopped since! Growing up Melissa trained in tap, ballet, jazz, lyrical, contemporary and hip hop. Her competitive dance career began at the age of 5 with a solo and a few groups. From there as her passion for dancing evolved, she competed in over 100 solos, groups, duets and trios from the ages 5-18. 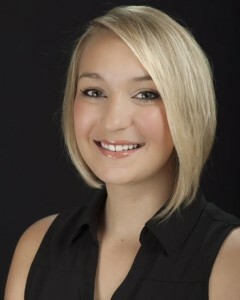 Melissa was also a part of Bonita High School’s Song Team and is an alumni of Cutting Edge Dance Center. Her dance career continued after high school on the University of Tennessee Dance Team. UT Dance Team members perform at Football and Basketball games and at other various events for the community. Melissa was featured as a back up dancer with the 2009 and 2010 team for the Monday Night Football commercials. The University of Tennessee Dance Team is a Division 1A Jazz and Hip Hop Team and competes on the National level at the UDA’s and receives top honors every year. Melissa graduated from the University of Tennessee in May 2013 with a Bachelor’s degree in Psychology, and is now attending graduate school for her Doctorate in Clinical Psychology at the University of La Verne. Although no longer dancing and competing herself, she still has so much love for the art of dance and is excited to help fuel the passion for the next generation of amazing dancers.